In accordance with the Paris Agreement, a slew of new emission and environmental regulations are rolling out across the European Union. This will require major changes to public transportation, and searching for the most reliable and sustainable solution has put many local governments into a scramble. Fortunately, the innovations in hydrogen fuel cell electric bus technology offers an answer with long-term scalability. In this post, we will explain the basics of why hydrogen and fuel cell power modules are the best option for transit bus application. Let’s dive a little deeper on how to overcome the most common hurdles that prevent their implementation. Getting the funds needed in transit operators' budget for transitioning to fuel cell electric buses is the largest hurdle and our primary point of focus. Available supplemental funds will vary by city and country, but there is a universal approach that can lower costs for all participants: buying in bulk. The Joint Initiative for Vehicles across Europe (JIVE) is a program designed to help local governments lower initial investment costs through bulk purchasing. Member cities can place joint orders that ensure manufacturing thresholds and enable a lower startup cost. Additionally, production costs are currently 50 percent less than first generation models. The combination of this trend and the efforts of JIVE can lead fuel cell electric buses to be within 18 percent of the cost of diesel alternatives by 2030. Another major prohibitory factor to incorporating hydrogen fuel comes from a general lack of knowledge. Few realize that fuel cell electric buses have the longest range and shortest refueling times of zero-emission transit solutions, or that even when fueled with hydrogen generated from natural gas they fall well under new emissions limits. Fuel cell electric buses have a few other positive benefits: they have no engine noise, the lack of vibrations creates a more comfortable and less stressful ride, and they produce zero greenhouse gas tailpipe emissions. Additionally, the effective range and operation versatility of fuel cell electric buses is nearly identical to diesel options, and that reliability reduces operating stress for drivers. This recent fuel cell electric bus fact sheet provides a much more detailed look at the nature of fuel cell electric buses. One of the more difficult challenges to navigate comes from government regulation and approval. Overcoming the knowledge gap is the first step to success, as it informs the approach to attaining approval. First, it’s important to note that hydrogen fuel cell electric buses meet every EU regulation in regards to effectiveness, safety, environmental impact and sustainability. It’s also important to realize the scope of federal and EU incentives is wide, so no single city or local government will be wholly responsible for the cost of change. To help you navigate the full scope of the European Commission's Strategy for EU-centralized alternative clean fuels for transport, bookmark this comprehensive resource intended for EU Member States. Aligning with regulation is about adopting an environmentally conscious strategy without exceeding budgets. Moving to zero-emission buses as directly as possible is one of the key ways to adhere to both points simultaneously, as cutting excessive transitions will save the most money in the long run. Keep an eye out for other resources, and you can build a comprehensive plan that will put hydrogen fuel cell technology at the center of your transition and keep you ahead of the curve throughout Europe. Dive deeper into this topic and read the whitepaper, Fuel Cell Electric Buses: An Attractive Value Proposition for Zero-Emission Buses in the United Kingdom, available through the download link below. 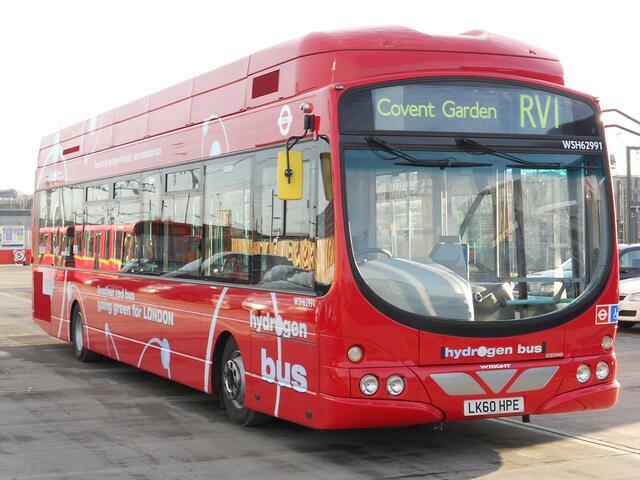 Make sure to follow #zeroemissionbus2016 on Twitter to connect with the upcoming International Zero Emission Bus Conference & Fuel Cell Bus Workshop taking place in London from November 30th to December 1st, 2016. Overview of current barriers to a wider adoption of fuel cell electric buses & the benefits for UK transit operators.